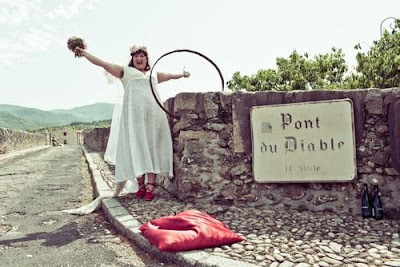 Above is the exact statement made by an Australian woman named Jodi Rose who married a 600-year-old bridge called the Pont du Diable on the Hérault River in France recently. Le Pont du Diable bridge also known as Devil’s bridge was built by Benedictine monks in the 11th century and has demonstrated resilience in tough times. 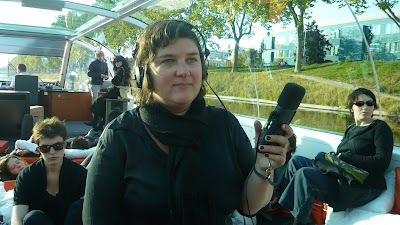 The Australian artist who travels the world recording the vibrations of jumper cables to her musical project “Singing Bridges” said she knew it was true love the day she set her eyes on the 600-year-old bridge located in southern part of France. The wedding took place few weeks ago with 14 guests in attendance. Excited bride Jodi Rose wore a traditional clothing despite her not so traditional wedding. She wore a floor-length ivory gown with a beautiful bouquet of flowers. “While I respect those whose sexual and romantic feelings are directed towards objects, mine is a symbolic issue,” . “My husband understands that I love other bridges, and men. Ours is a love that embraces the ups and downs of life, as materialized in the swirling currents of the river flowing below its gorgeous body,” said Jodi Rose via her blog Bridgeland. 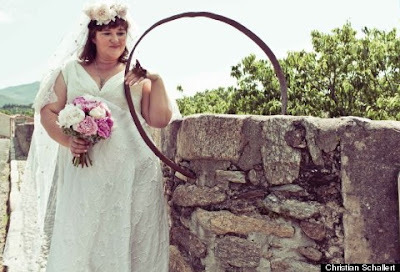 Jodi Rose hopes the 600-year-old bridge will feel the same way she feels about the open relationship. This woman is insane how can you marry an infrustracture, for want benefit? Such idiots should be arrested for unlawful behaviour. This fool will incite her fellow fools to do the same. Here we are, still failing to control and eliminate issues of gay, homosexuality and other bad vices that have superceded the normal arrengement of doing things in this world. I believe this fool is venarating the devil (luminaty) under waters benerth this bridge. I do not think a sensible being would engage in this kind of act. This is how they get LUCIFER home built. End time indid!! !may the Lord see us thru ooooooo. Imagination is driving her crazy. PEOPLE OF GOD, BEWARE, DON’T BE DECIEVED, THE END TIME IS NEAR, JUST BE FOCUS. JESUS CHRIST IS THE ONLY TRUTH AND LIFE. This is outrageous. I don’t thing such people are human being on earth. Earth will face the wrath of GOD because their sin is getting too much in the face of the Almighty GOD. Remember JESUS is coming soon! I pray that GOd will expose you one day so that world will know who you really are. Devil !